WordPress popularity has skyrocketed in the last few years, which has resulted in the increasing demands for WordPress themes. It’s the biggest marketplace for buying premium WordPress themes. Theme Forest has over 6400 themes to select from. They’ve designs available for nearly any kind of sites you can think o, from usual multipurpose blogs, magazines and business theme to the specialized niche applications themes. The key benefit of buying themes from Theme Forest is their attractive designs and cheap prices. This is a strong competitor of Envanto in this “creative marketplace” space. It makes them the odd fit for the list since they are an combination of many products from lots of developers, but still there are a few really wonderful themes present in the mix at very reasonable prices. So, you should not miss this one if you want to buy a reasonably priced WordPress theme. Buy a WordPress theme from Ink Themes and customize your site with beautiful and attractive premium WordPress themes. With Ink Themes, you get hundreds of premium quality WP themes for businesses, portfolios blogs and much more at pocket friendly prices. You won’t find a deal better than what you get here. With hundreds of themes available, Themesnap is another great marketplace tobuy a theme for your website. You are sure to get a design that perfectly fits your needs at this marketplace. Custom premium themes are available at affordable prices, which is like a cherry on the cake. With each theme, you will also get great author support. Elegant Themes offer very eye catching and stylish premium WordPress themes. Here, you can discover responsive theme which can transform your blog, business, eCommerce, news, directories, personal or portfolio sites. They have more than 87 premium, high quality WP themes. They do not sell the themes individually, but they’ve a membership subscription which offers you complete access to all their latest themes, future themes, support and updates. They have modern, highly customizable and professional WordPress themes that have fully responsive designs. Themify has around 50 high quality themes for portfolio, magazines, ecommerce, blog, multimedia and business websites. They offer single themes at $49 each only, which includes additional free bonus theme. Their club membership cost is $79, which offers you access to every theme. All the WordPress themes at SoloStream are of the highest industry quality, fast and responsive. All of them are coded to very high standards and meet all WordPress requirements. They have feature-rich themes available to their clients to buy. With them you get more than amazing themes, you get complete peace of mind with an amazing support team. MyThemeShop possess one of the biggest collections of premium WP themes around. They have around 100 WP themes present in their catalogue that cater to all kinds of sites. They offer many multipurpose themes for blogs, online magazines, ecommerce stores and business sites. They also have specific niche themes for churches, app showcase sites, schools, gyms, architects, speakers, authors and more. Simple Themes offer hand-crafted themes for website designers, publishers and developers. The themes offered by them are built to be customized and their team is always there to help you with any issues or questions you may encounter. Their themes are built with great performance in mind. Their themes apply source ordered content, code efficiency and semantic markup. We create cleanly designed WordPress themes to help you make your words shine through. Simplicity is the best form of sophistication. They offer their WordPress themes to artists, small businesses and photographers around the world. So, make sure to browse Graph Paper Press once at least before you buy a theme, may be you get something amazing in your budget. Wpzoom has impressive and eye catchy WordPress themes available or your business website. This is a company highly trusted by over 40000 individuals across the world. The themes offered by Wpzoom are SEO friendly, fast and responsive. They offer single themes at $69 and access to all the themes at $149 only. This is a quite new WordPress themes shop. Modern Themes started out launching very high quality and free WP themes and recently have started offing premium themes too. The premium themes offered by them are modern and sleek, lightening fast and perfectly coded. They provide versatile, multipurpose corporate/ agency/ business, portfolio/photography and ecommerce themes. Their single theme cost $35 only with free updates and premium support. This is another great themes marketplace with over 1200 WP themes. They’ve themes available for business, blog, ecommerce, mobile, magazine and photography websites along with some children themes for the theme framework. Being a great marketplace, purchasing a theme here has both pros and cons. So, ensure to figure them out before you buy a theme. Bluchic is completely different from the other themes because it offers feminine WordPress themes available for the women entrepreneurs going from just hobbies to serious businesses. The themes from Bluchic combine bold and beauty vision with niche-specific architectures you need in order to convert your prospects in paying clients. So, whether you are an event planner or a business coach, you will get a great theme for your business. 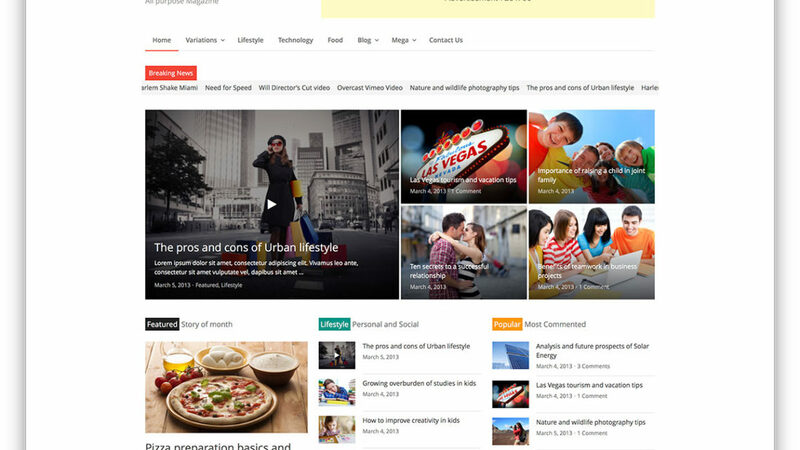 It has 60+ good looking, professional magazine, news, video personal blog, business and gallery WordPress themes. You can select from a specific category or browse the whole themes collection to fit a theme that perfectly suites your need and fits in your budget. They have themes that work great for any businesses and are loved by anyone. They keep enhancing their themes from time to time. Themelab offers premium WP themes in order to help you make a site, which is as exclusive as possible. The themes offered by Themelab can be used by industries like magazine, business, church or blog. They have a basic package with one theme, updates and one year support available at $69 only. You can also buy their VIP package and get access to all the themes and updates for lifetime. They create features-rich, beautiful premium WordPress themes. Their themes designs are highly professional and their attention to details is just outstanding. Theme Trust has around 25 premium themes that cater to portfolios, personal blogs, magazines/news, business and agency websites. The individual themes are available at only $58 each. Thrive Themes offer conversation focused WP themes. All the themes offered by Thrive Themes focus on increasing conversation rates and revenues. Their themes are mainly built for speed, possess elements for boosting conversations, are highly customizable and have page generator. Pressive and Squared two of their best themes. You can change your site by buying a theme from them at $49 only. Studio Press is the most trusted and powerful framework for WordPress websites. Their Genesis Framework empowers to easily and quickly build incredible sites with WordPress. Powerful, flexible, SEO optimized, smart platform and fast performance for contents using WordPress. If you’re highly passionate about WP, then Studio Press will best fit in your needs. Templatic provides you with 80+ premium WP themes in order to assist you power as well as monetize your site and all the themes come with superior support. Their vast collection of the themes includes responsive business directories, event portals, tourism business themes, travel agencies, ecommerce and online booking themes. They also have magazine, visual composer, multipurpose, one page themes and much more. Handcrafted by a few of the best in industry developers, Appthemes have a collection of themes created to meet the demands of global customer base. You can instantly buy a theme now with complete peace of mind from them by knowing that their product updates are free for the first year. You can buy additional child themes to turbo charge the site. Get professional and premium WordPress themes which suit your requirements the best with SKT themes. They handpick professional and attractive WordPress themes and create them according to client’s demands as well as latest industry trends. So, whether it is Google fonts, theme options or responsive, their themes have all the features available to best fit in your needs. Trusted by hundreds and thousands of professionals and companies world-wide, Themely helps you create better sites with their elegant and simple WordPress themes. With Themely, you can get beautifully hand-crafted WP themes for your upcoming project. For your help and support they have a great knowledge base, support forum, FAQs, etc. Dessign offers unique and modern WP themes with an emphasis on creative professionals. Both their free and premium themes are featured on popular design blogs. Dessign offers 150+ responsive, premium WordPress themes. Their themes are best for the creative professionals looking for simple and modern premium WordPress themes. Lyra themes has highly customizable and professionally designed WordPress themes that are designed and developed using the best coding practices. Their themes work great and do not get astonished if it takes you lesser than 30 minutes in order to find as well as setup all you need. Whether you’re a developer, designer, blogger or small business – with Lyra Themes you’ll find a theme ideal for your requirements. Organic Themes are crafted finely with the additional hormones of the bloated options panels, gimmicky effects and excessive scripts. Organic Themes’ professional aesthetics are of utmost importance. The themes come with minimal scripts, lightweight codes, descriptive commenting and clean formatting for simple customization and quick load times. Organic Themes have 4 free themes and 29 responsive themes. CSSIgniter has professional and beautiful WordPress themes for all kinds of sites. They have their single themes available at $39 each only and you can get membership at $49 only which offers unlimited access to all themes in their current themes, future themes and catalogues for a complete year along with support. They have around 68 themes on offer. If you’re a business owner, blogger or designer, who wants to make an incredible site with WordPress, you can buy a premium theme from ThemeFreesia. They have responsive and beautifully designed WordPress themes to help their clients make great websites. They have both free and plus support for all the themes they offer. Get high quality, premium and responsive WordPress themes at Themeum. You will be amazed to see their great themes collection. All the themes offered by them are 100% responsive, highly customizable and SEO friendly. Their customer support team is readily available to offer fast support and they offer frequent updates. If you don’t have a budget to spend on the themes, then you can browse the below themes shops to get a great theme for FREE. Fabthemes brings you a few of the best, premium quality and elegant WordPress themes for FREE. All the themes offered by Fabthemes are created with the options panel in order to adjust as well as configure different theme options and settings. So, enjoy fabulous WordPress themes for Free with Fabthemes. If you truly appreciate the content first design, then get a theme from Compete Themes today. Pick a theme from their collection and install it immediately on your website for free. They offer all their themes for free. Choose a theme from Compete Themes and showcase your best work with mobile friendly design and clean layouts made for website like yours. With WordPress Popular section, you can browse all the WordPress themes that are available for free. You can get all the best themes here. Offering one of the best collections of WordPress Themes, MyThemeShop also offers many free themes to choose from, it you do not have enough money to spend. The themes offered by them are 100% responsive and also improves the user experiences on all devices on the market. With a theme from MyThemeShop, you can rest assured that your site will offer an excellent user experience on all devices. If you are looking for a themes shop with a strong background in WP and an excellent customer support, then Themeisle is a great option. Themeisle has quite clear levels of transparency. They have their themes available for different categories like blog, portfolio one page, business, photography, magazine, ecommerce and more. Athemes offer themes that are easy to setup, offers you with meaningful options and have video tutorials. They don’t just launch the themes and move on, they also update them often. They offer around 32 themes for their clients. All the themes offered by athemes follow best internalization practices. They always are ready for translation into your language.